Inkon3 RACCOON HUGS Craft Dies 04034 at Simon Says STAMP! 04034 This item is on reserve until If you would like to reserve this item now, you may purchase it now with the rest of your order. We will hold your order now and ship your entire order as soon as this item is back into stock. If you would like your order to ship now, please place this item on a separate order. Success, Inkon3 RACCOON HUGS Craft Dies 04034 has been shared! These dies coordinate with the Raccoon Hugs stamp set. Made in the USA with high-quality steel. Compatible with most die cutting machines! Includes 7 dies. Sleeping raccoon is approx. 1 x 1.5 inches. Coordinates with Raccoon Hugs stamps 04033. 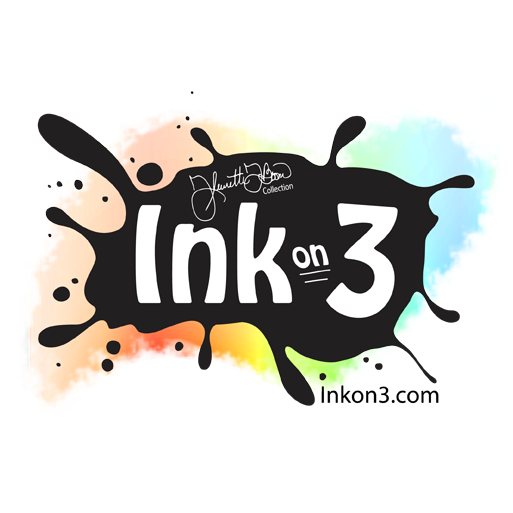 Here at inkon3 we have great love for creating unique, clear photopolymer stamps, inks, SVG Cut files and other artsy, crafty goodies, that bring a little joy and laughter to the world. Our original stamps are of the highest quality photopolymer and proudly made in the USA.